Homeopathy is based on the belief that "like cures like." Practitioners treat symptoms by prescribing infinitesimal amounts of a substance that--in larger amounts--would cause the same symptoms in a healthy person. Silica, or silicea, is a homeopathic remedy made from distilled and diluted silicon dioxide. It is classified as one of the 12 cell salts, also called Schussler's tissue salts, a biochemical system developed by homeopathic physician Dr. Wilhelm Heinrich Schussler. Homeopathy is an alternative therapy and is not intended to replace medical treatment. Consult your doctor before taking homeopathic silica cell salts. Silica is naturally found in normal skin, hair, bones and nails. The Elixirs website asserts that although a like homeopathic medicine repels a like vibrational illness in the body, the cell salts actually reinforce their corresponding fields. It is therefore logical that homeopaths would use silica to treat skin, teeth and nail problems. According to Beneforce, practitioners recommend silica to treat brittle nails, ingrown toenails, problems with teeth development, curvature of the spine and slow skeletal growth. Blue Shield Complementary and Alternative Health notes that silica is used for acne, especially where there is scarring, as well as boils that are recurrent and slow to heal. Before using homeopathic silica, check with your physician. 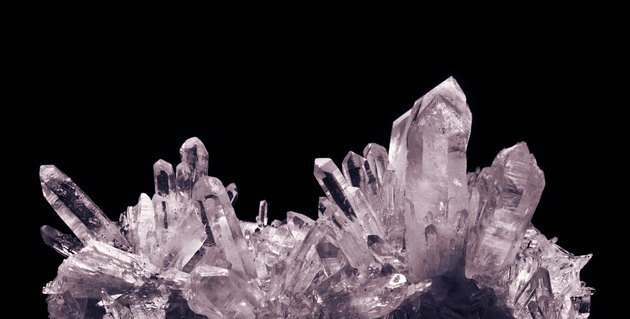 The Elixirs website notes cell salts, while not a substitute for a healthy diet, improve the body's ability to absorb and utilize minerals, and points to silica's immediate absorption from saliva as one of the remedy' s advantages. According to Herbs 2000, homeopaths may use silica to treat undernourishment. Homeopaths often employ silica for digestive problems, particularly food intolerance and flatulence. Blue Shield Complementary and Alternative Health advises silica for constipation, particularly for patients who strain for a long time without success. If the patient is easily chilled, nervous and easily fatigued, this is another indication for silica. Ask your doctor before using silica for digestive problems or constipation. Silica is a popular homeopathic remedy for illnesses in which the practitioner suspects a weak immune system, especially if the patient has fatigue, recurring inflammations and infections, colds, coughs and frequent swollen glands. Blue Shield Complementary and Alternative Health recommends silica for patients with easily infected wounds, sinusitis, bronchitis and abscessed teeth, and asserts that patients who can benefit from silica tend to be anxious and emotionally sensitive. Check with a medical health professional before taking silica for infection. Homeopaths may prescribe silica to treat anxiety, nervousness and insomnia. Blue Shield Complementary and Alternative Health suggests silica for people who are anxious, shy and lacking in self-confidence, especially if the anxiety stems from an upcoming stressful event, such as a speech, test or interview. However, Blue Shield states that silica's effectiveness for this--as well as other medical and emotional conditions--has not been scientifically established. Herbs 2000 points out that silica may be used for insomnia, particularly if it is caused by stress and overwork. Before using silica for nervousness or insomnia, get the OK from your physician. What Is Nat Mur & What Are the Side Effects?